The Kriega Urban excels as a heavy duty messenger bag that does not look out of place in every-day life. This shoulder bag has a capacity of 16 litres and is completely waterproof, which makes it an ideal companion on your daily commute. It's lightweight yet extremely durable, as we've come to expect from Kriega. It makes for an excellent bag for your everyday carry, proving its worth both on and off the bike with the unique shoulder strap adjustment and removable waist-strap. It can be configured to your liking, with a left or right shouldered fitment and a whole host of Kriega's accessories to expand the storage capacity. 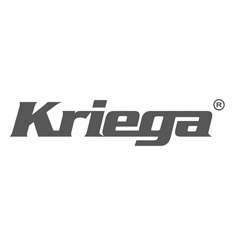 add two optional Kriega US-5 drybags to considerably expand storage capacity. Constructed from heavy-duty 1000D Cordura and Hypalon, this is one bag that could last you a lifetime.